For personalised movie recommendations please visit itcher. Some of the best lines in the business – but there are others who can compare to ‘Bryan Mills’ in movies similar to ‘Taken’. Unlike some girls, I am all about the action when it comes to movies. Fast-paced, gripping storylines is where it is at. 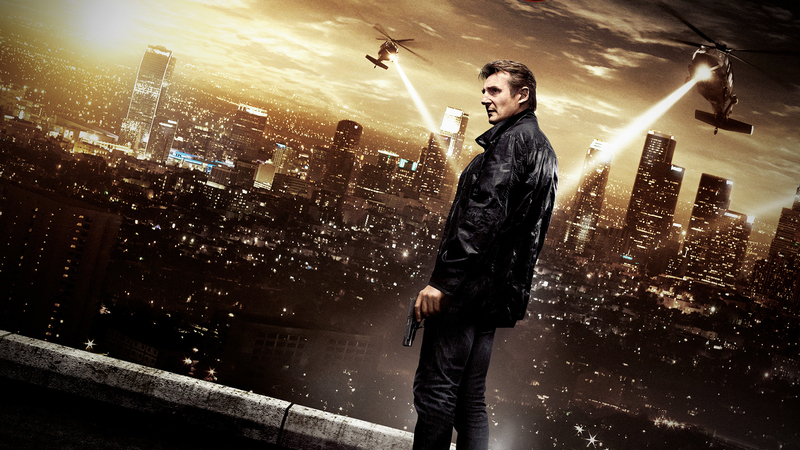 ‘Taken’ fulfilled all criteria, but here are some others that are worth a watch too. It’s ‘Liam Neeson’ again and once more, he is not happy. This time, instead of his daughter being kidnapped, it’s his identity! After waking up from a coma, he finds that some other man is living his life and his own wife does not even recognise him…. Or does she?! ‘Dr. Martin Harris’ is his character, but he’s not quite alone this time. With the help of Diane Kruger and a couple of other friends, he strives to find out exactly what’s going on. After all, he’s only been in a coma for four days; just how much could happen in that time? After all, it’s ‘Liam Neeson’ defeating everyone in his path to get to someone he loves. We’ve seen this kind of plot several times, where there’s a terrorist attack against the President and/or White House, but usually in an episode of 24 and not with such a hunky hero. Gerard Butler acts as a disgraced ex-Secret Service agent who’s trapped in the White House at the same time as it’s taken over by terrorists. It seems that the whole security team are useless in this situation and everyone must rely on Butler’s character, ‘Mike Banning’, to rescue everyone using his extensive knowledge of the White House. ‘Mike Banning’ and ‘Brian Mills’ = US government legends. Their mission: rescuing an important hostage. For ‘Brian’, it’s his daughter; for ‘Mike’, it’s the President. He went out the window… why would someone do that? A classic case of amnesia; ‘Jason Bourne’ is picked up by fishermen, only to realise he doesn’t know he’s ‘Jason Bourne’, or anything else about his life for that matter. He has to piece together clues in order to regain his memory, but life isn’t made easy when he realises he’s being hunted down by assassins. The plot thickens throughout the trilogy when ‘Bourne’ tries to get away from it all and live a peaceful life with his girlfriend, but is framed for a crime he did not commit and must return to the CIA life he once lived in order to survive. Sound good? Make sure to also have a look at these other movies similar to ‘The Bourne Series’. Just like in ‘Taken’, this former CIA agent must use his old skills to fight the world. He is one man on a mission with no one to trust but himself. It was interesting to see Chris Pine in an action role that didn’t have a comedy undertone like ‘This Is War’. His character, ‘Jack Ryan’, is just a young, innocent CIA analyst who likes number-crunching, but accidentally stumbles upon a major conspiracy. He finds himself in Russia on a covert operation assigned to him by Kevin Costner, but he is unaware of just how serious it is until his chauffeur attempts to kill him in his hotel room. Not knowing whom he can trust, ‘Jack Ryan’ teams up with his fiancée, Keira Knightley to take matters into their own hands. ‘Jack Ryan’ is the opposite of ‘Brian Mills’, as he lacks that particular set of skills… However, the conspiracy and the action are still there. So, those were my movies like ‘Taken’ that I think will fulfill your action-packed desires. However, if you’re looking for a bit more variety but the same sort of theme, try these other films like ‘Taken’ that I think will be a good watch. Could you get a cast of hunkier men? Really?! In the midst of all the action, there’s some serious comedy to look forward to! This film is like having ‘Rocky’, ‘The Transporter’, MMA and WWF fighters all having a party with special guests from the ‘Terminator’ and ‘John McClane’. We all know the history of ‘The A-Team’ and what they do, but if you fancy some light-hearted action with a lot of comedy included, then this movie is worth a watch. Instead of it being a story of one wronged man out for vengeance, this time, there are four men on a mission to clear their names. ‘Dominic’ and ‘Brian’ are back together again fighting crime with the help of their high-speed vehicles. This has an element of real feeling, knowing that Paul Walker died in a car accident later that year. However, with all the fast-paced action and the twist in the storyline this time round, the elements of ‘Taken’ are there. Well, there you have it – a great selection of movies similar to ‘Taken’ to choose from. I would personally start with ‘Unknown’, seeing as Liam Neeson is a similar character in the movie. However, the ‘Bourne’ series may be a good choice if you want to ramp up the action. With so many great movies to choose from, there are probably many other films like ‘Taken’ out there. What do you guys think reminds you of ‘Taken’?Perhaps another fantastic Liam Neeson film? Or some obscure title? Let me know!